We manufacture and supply Hydraulic Scissor Lift. 2. Handle with plate protection. We are offering to our clients, Heavy Duty Scissor Lift Table, which are ideal for heavy duty application under the toughest working conditions. The Scissor Lift Tables are widely used and are highly appreciated by the clients. 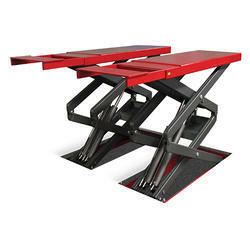 We have priced these Scissor Lift Tables as per the market rates and also offer customization to our clients. Our offered device works on scissor mechanism to move goods or persons at construction sites. 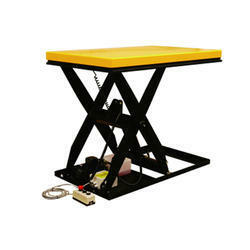 We hold expertise in offering Mobile Scissor Lift Table. Products offered by us are developed by our professionals in line with global guidelines. Our customers can avail these tables at most competitive prices from us. We deliver our products within stipulated time period to the patrons.